Are you suffering from seasonal closing syndrome? 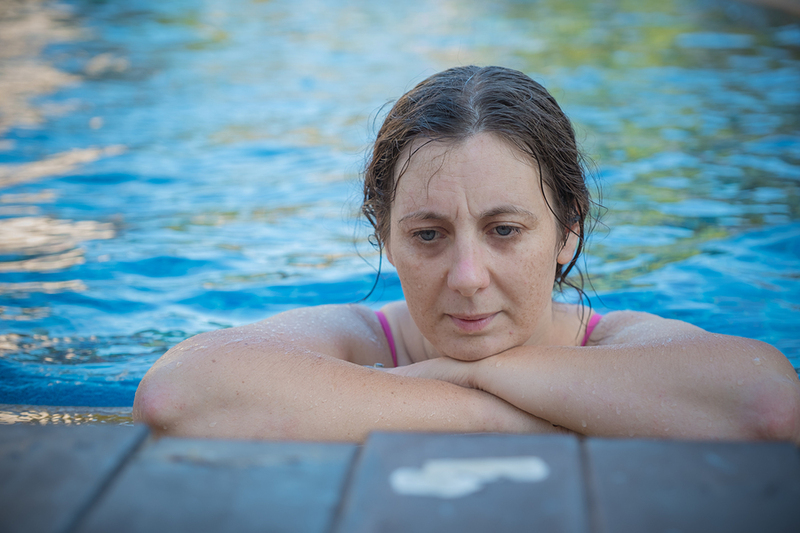 For pool owners, it can be a sad, even depressing time of year. A chill is in the air, the days are growing shorter, and the leaves have started to drop. You know that it’s time to close the pool, but it’s always tough to say goodbye to your warm-weather paradise. But you also know you’ll need to ensure the pool is properly closed and winterized to avoid any costly mistakes next spring. Before you close and cover your pool for the winter, you’ll first need to give it a thorough vacuuming and skimming to remove any debris on the floor water surface. It’s simple enough to clean and store the ladders, handrails, diving board and skimmer baskets, as they are easily detachable and can be manually cleaned. But you’ll also need to address the water chemistry for the long winter season. Knowing how to properly balance your pool water chemistry for winter is very different than balancing your water chemistry during the summer. It’s very important to know the proper parameters of each element in play and how they interact with each other, as the water chemistry will change during the course of the long winter season. The goal is to open the pool next spring with as close to perfect water chemistry as possible. It takes a professional with adequate knowledge and experience to achieve the perfect balance of the various elements. This is all before adding winter algaecide and stain preventative that you may not have considered. The wrong combination of chemicals can be a waste of money and also give you an unwanted surprise when you open a pea-green pool next spring. The winterizing process can become more complicated once you are ready to add a cover, because the type of pool cover you have will dictate the water level of your pool. But how do you know when the water level is just right? Draining is a much more complex process than simply bailing water over the sides. Every piece of pool equipment – such as the pump, filter, heater, and chlorinator – must be completely free of water. This requires special equipment, as even the slightest amount of water can freeze during winter and damage your pool. A professional can help clear everything of moisture, as well as help you with the proper disassembly and storage of your filters. The biggest risk of the winter season, by far, is the potential for freeze damage to your underground plumbing. If the underground plumbing is not properly winterized it can easily cost thousands of dollars, if not more, to locate and repair. All of the equipment and plumbing needs to be 100% drained of all water, have non-toxic, biodegradable anti-freeze added, and then be sealed before the freezing temps of winter arrive. Keep in mind, some of your equipment will have hidden internal drain ports that need to be left open for the winter. Other equipment has drain plugs that can be opened for draining but should then closed for the winter. It’s never as easy as it seems. Not all pool covers are created equal, and it’s important to consider safety even in the winter months. A tarp-like solid pool cover can be more of a death trap to animals (and people) than most people realize. If you or your beloved pet or wild critters walk onto what looks like a solid surface, you will be ensnared in the tarp as you both plunge into the frigid waters – entangled by the tarp itself. These tarp-like covers are usually secured by a dozen or more 6’-8’ long water bags that take time to fill and then empty each season. It takes even more time to brush and rinse them clean of dirt and mud from the winter months, and they usually will be leaking and needing replaced by the second or third season of use. A winter mesh safety cover is by far the best winter cover for all applications of in-ground pools. A winter safety cover cannot legally claim to be a “safety” cover unless it passes several safety tests performed by certified third-party testing companies. These covers are typically anchored to the pool deck by a series of “pop-up” anchors seated in and flush to your deck that are made of brass so as to not rust. Once the cover is installed, it is taut and looks similar to what a trampoline looks like. As they are mesh, the winter rains and melted snow pass through the cover allowing for the wind to blow off any leaves and/or debris, making removal in the spring rather easy. Although these covers can be an investment of a few thousand dollars, they will usually last more than ten years before needing replaced or repaired. Your backyard oasis is an investment that needs to be protected properly every winter. Although some of the simpler tasks can be done yourself, there’s no doubt you need a professional to properly prepare and winterize your pool for the season. Closing pools isn’t nearly as fun as enjoying them, so it’s best to ask the professionals for help. Otherwise, damage is inevitable, and you’ll be calling a professional for repairs instead of a spring opening. 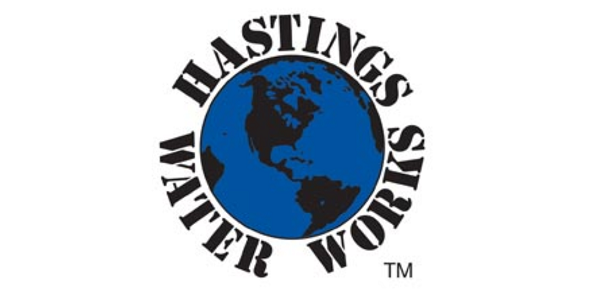 Contact Hastings Water Works to schedule your professional pool closing today.